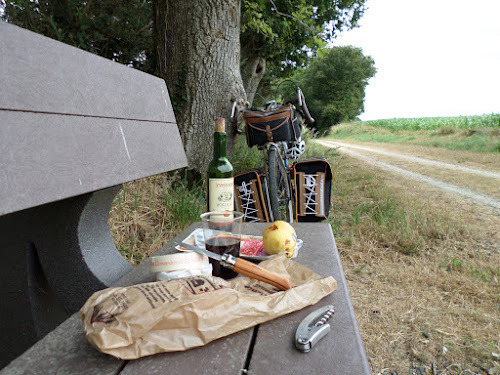 As I was on the voie vert, and not to spurn tradition, I stopped for le dejeuner at the ususal ‘bench’ just north of Carhaix – I’ll have to get one of those little plaques put on it, when I snuff, in the shape of a small Camembert cheese. The more observant of you will have noticed that I have taken razor to parts of les whiskers and am sporting what I like to think of as the ‘Deadwood’ look, but I am sure that others will maintian that it is more ‘South Wales Workingmen’s Club and Institute circa 1970s’ look . . . At any rate, I could enter L’Eroica as I stand at this rate. 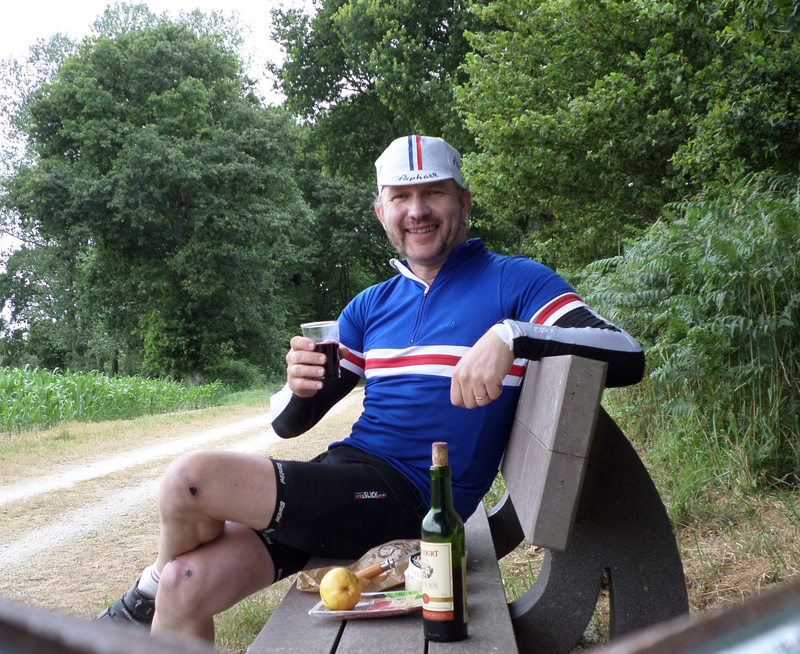 Continuing on to Morlaix I partook of a couple of beers before checking in and dining at La Dolce Vita. There being not much elsae to do on a Sunday night I am off to bed.